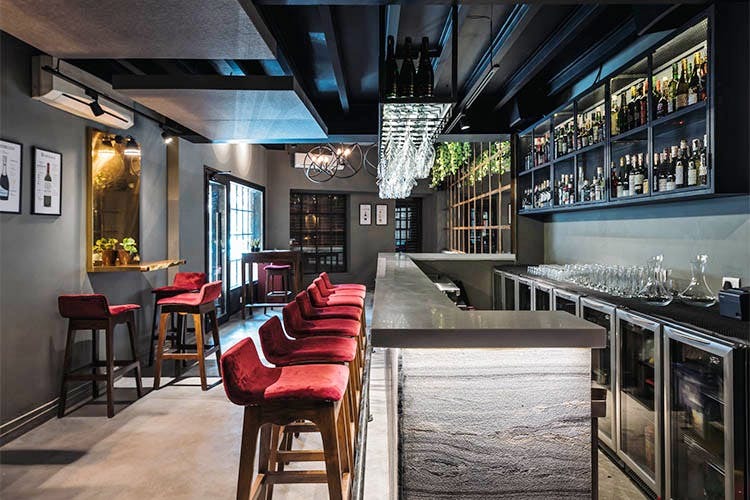 If you’re a lover of all the good things in life such as some fine wine and delicious food, then you’ve got to make your way to the 266- The Wine Room & Bar. If you’re past your mid-twenties, chances are high you’ve become a wine-lover. And no, we didn’t mean the 18-year-old you who’d have the cheapest wine for the fastest kick. We mean the new you who loves fine wine, knows their Malbec from a Shiraz. So if you get where we’re heading, then join us as we go ahead and explore 266- The Wine Room & Bar. Located next to Shopper’s Stop at Bandra, this bar is for those whose idea of a fun evening is enjoying great food paired with fine wine. We love their expansive wine collection which includes best picks from India, Australia, Germany, Italy, New Zealand, France, Argentina, Spain, and Portugal. Sounds great, doesn’t it? Don’t miss out on the food though. Their signature dishes include Caramelized fig salad, Caprese salad, Lotus Stem Crisps, The 266 Charcuterie and Cheese Board, Chicken Two Ways, Braised Lamb Shanks, Gnocchi Gorgonzola and more. The warm and cosy interiors add to its charm (and are perfect for Instagram). Now that we’ve given you a place to check out, we know you’re weekend is sorted. Perfect for an after-work hangout session with friends or a romantic evening with your partner, we recommend this bar for a good time.